Sometimes even the most jaded of travelers are surprised by what they discover. This is likely the case for visitors to Ecuador. The thoroughly charming country is rich in an astounding variety of, well, everything. Soaring snowcapped peaks, tropical beaches, rainforests and cacao plantations that are the source of some of the best chocolate in the world are only a few of the sensational escapades awaiting visitors. The relatively small country satisfies travelers seeking adventure, culture, nature, relaxation or all of the above. Ecuador is not typically synonymous with luxury vacations, yet the country has a surprisingly well-developed infrastructure for affluent vacationers. Among them is Tren Crucero. This private train affords passengers a multitude of insightful experiences, some of which are impossible to arrange as an individual. The typical four-day journey from the capital city of Quito to Guayaquil (or vice versa) showcases a panorama of Ecuadorian culture. A visit to a woodcarving studio in the small town of San Antonio de Ibarra reveals the making of some of the world’s most intricate religious statuary. The itinerary also includes a chance to meet Baltazar Ushca, famously known as The Last Ice Merchant. 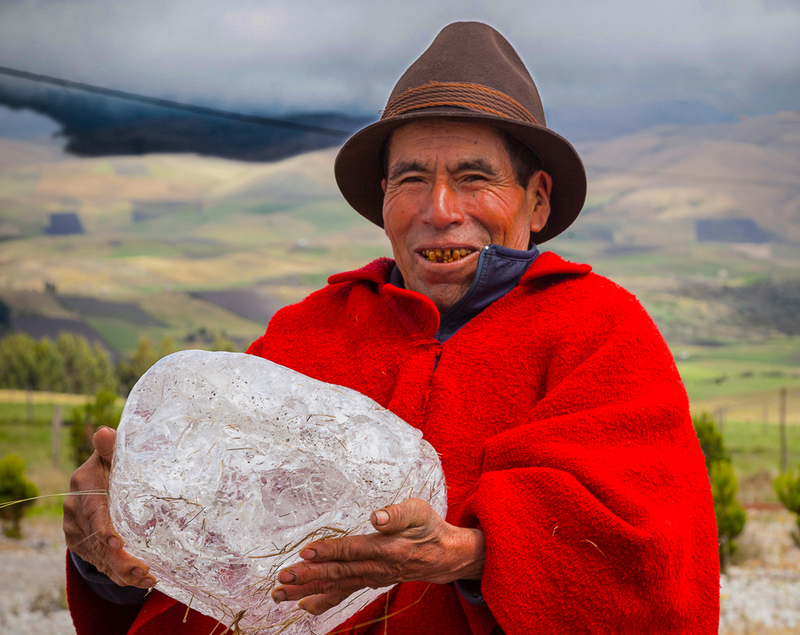 Although he is now more than 70 years old, Ushca still sells glacial ice at the local market that he cuts from the side of the Chimborazo volcano—as he has done for more than 50 years. A stop at one of the country’s many haciendas where roses are cultivated gives understanding to the notion that Ecuadorian roses are the most beautiful in the world. The completely straight stems sometimes grow more than six-feet high, with perfect blooms at the top. Ecuador’s fertile volcanic soil is unusually rich in minerals to nourish the plants and the equatorial sun directly overhead encourages the flowers to grow upward—not to the side as at higher latitudes. Quichua Baltazar Ushca extracts ice from the slopes of the 6.310-meter Chimborazo volcano, some 200 km south of Quito in the Ecuadorean Andean province of Chimborazo. But the western South American nation is not all mountains and valleys. The abundant flora and fauna in the highly diverse ecosystem of the Amazon rainforest provides days of exploration. The venture is most easily and comfortably accomplished as a guest onboard the Anakonda. This luxurious vessel cruises the Napo River into the heart of the Yasuní National Park and surrounding nature preserves. Parrots, toucans and hundreds of other bird species keep company with the sloths, snakes and monkeys in the trees; meanwhile piranha and pink dolphins share a home in the water. The Anakonda has only 18 cabins, meaning the maximum number of passengers is 36. The four deluxe cabins on the top deck are extra-spacious and have private balconies for watching the primeval forest through floor-to-ceiling windows. Anakonda’s expert guides are indispensable (they’re all born in the Amazon region). Their uncanny ability to spot wildlife hundreds of yards away provides a much richer experience than it would be without them. If time is short and a cruise or train ride cannot be included in an itinerary, it is possible to visit the Amazon region on a day trip from Quito. The most delicious way to do this is to book a Pacari Chocolate tour to visit one of the company’s cacao plantations in the town of Santa Rita. The three-hour drive crosses two mountain ranges and, on a good day, provides spectacular views of the snowcapped Antisana volcano. Once at the plantation, visitors enjoy a walk among the trees to see cacao at its point of origin. Experts then explain the various steps transforming the bitter seeds into sweet chocolate. The high caliber of Pacari Chocolate has made it a favorite among chocoholics intent on experiencing chocolate in its purest form at high percentages. The various Andean ingredients such as uvilla (golden berry), guayusa (similar to green tea) and mountain rose added to specialty bars provides adventures for the palate. The Amazon hosts much of Ecuador’s allure, but urban Quito is famous for its Centro Histórico. In 1978, it became the first designated UNESCO World Heritage Site. Rich interiors of the Centro’s churches, convents, palaces and government buildings erected by the Spanish during the colonial period are on full display. The apotheosis of Spanish colonial architecture is represented in the beautifully landscaped courtyard of the Convent of San Francisco and the museum collection known as Casa del Alabado within the convent. A stroll down La Ronda, a pedestrian street that marks the edge of the Centro Histórico, will reveal the location of Dulce Placer, where the flavors of Ecuador are enjoyed in fresh ice cream. A few doors down is Chez Tiff, a chocolate shop owned by a Swiss pastry chef who moved to Ecuador many years ago and now exerts his expertise in chocolate. As one of the most welcoming countries in the world for retirees, many foreigners have relocated to Ecuador to enjoy its temperate climate, dramatic landscapes and proximity to the United States. 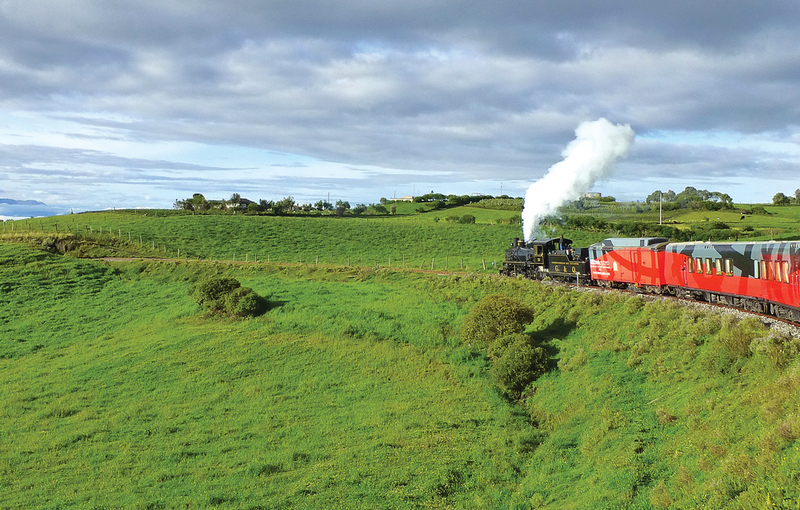 A typical journey on the Tren Crucero lasts four days, traveling between the capital city of Quito and Guayaquil. Most visitors to Quito focus on the many attractions of the Centro Histórico, but the forward-thinking, cultural district of La Floresta offers small museums that provide interesting insights into Ecuador’s many cultures. Casa Toledo (primarily a venue for live theater) is a place for dance rehearsals, poetry readings and other art-centric activities such as small-scale exhibits showcasing local and international contemporary artists. Museo Etnohistorico de Artesanias del Ecuador Mindalae is another museum of note. It is operated by the Sinchi Sacha Foundation, which works to preserve Ecuador’s cultural and natural heritage through the promotion of crafts and tourism. Each floor of the museum is dedicated to different aspects of indigenous life: ceramics, textiles and shamanism, known locally as cosmovision. The most moving attraction in La Floresta is by far is the Casa Cultural Trude Sojka. It is the former home of artist Trude Sojka, a Berlin-born Czech Jewish woman who survived internment at Auschwitz and moved to Ecuador to start a new life. Heartwrenchingly, she and her husband (also a concentration camp survivor) felt compelled to include a secret room in the house, just in case history repeated itself. That room is now a gallery of images recalling the horrors of the Holocaust. In the indomitable spirit of the former owners, the museum focuses on Trude’s artworks portraying survival, forgiveness and redemption. She sculpted cement reliefs onto flat surfaces, then quickly painted onto the cement before it dried, sometimes incorporating found or broken objects into her three-dimensional paintings. Symbolism abounds, today Trude’s daughter Ana curates the museum’s collection and explains the meanings of the various artworks. Right around the corner from Casa Cultural Trude Sojka is a doctor’s former home now transformed into Casa Aliso, a charming guesthouse in the middle of La Floresta’s appealing attractions and busy restaurant scene. Casa Aliso’s 10 guestrooms are cozy reminders of the mid-20th century and provide comfortable accommodations for visitors seeking genteel surroundings. Conveniently located between La Floresta and the Centro Histórico is the superb Mansión del Angel, a former embassy now welcoming sophisticated travelers to enjoy the grandeur of a 19th century mansion. A path through the walled garden leads to the spa. Follow the scent of chocolate. It’s not for eating, though. It’s used in facials and full-body exfoliations. Chocolate is a major theme at Mansión del Angel, from the chocolate-scented welcome towel proffered on arrival to the cacao-scented toiletries in the bathroom. The hotel’s restaurant is also one of the best in Quito, a place where fine dining in sublime surroundings is supplemented by attentive service in the European style. Mansión del Angel’s sister property, La Mirage, is located in the small town of Cotacachi about a two-hour drive north of central Quito. The hotel is a microcosm of excellence on 12.5 acres of immaculately manicured grounds where peacocks roam and guests become entranced (the first visitors believed the property so beautiful that it must have been a hallucination, hence the name). 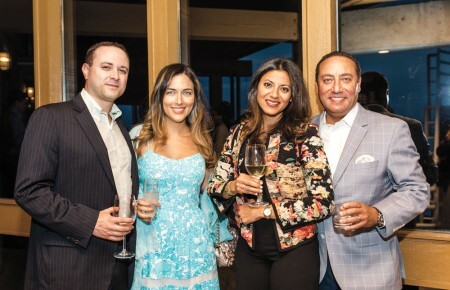 La Mirage welcomes both European and Hollywood royalty to enjoy the acme of cordial hospitality and botanical splendor found on this private estate. Ecuador’s combination of latitude, sunshine and elevation allow beautiful gardens of cold- and warm-climate vegetation to thrive in the same place. Thus guests enjoy views of pines, palms, eucalyptus and of course, roses from their suites. Rose petals may even be found on the plates presented in the restaurant, where the culinary prowess of chef Hugo Flores enhances an elegant dining experience. A goldfish in a bowl is brought to the table to keep diners company during the meal, which begins with an amuse-bouche served in a music box. 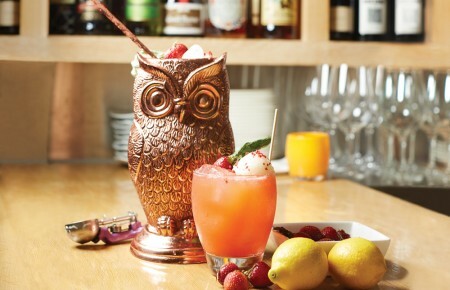 La Mirage entices guests to escape the normal. Book a traditional purification ceremony administered by a local shaman to rid the body of bad spirits and raise the ones that remain. The ceremony is not a typical spa treatment—to say the least—but those who wish to be transported to another state of consciousness will find the ritual fits the bill. If this experience sounds a tad too exotic, La Mirage’s lavender treatment makes an aromatic alternative. 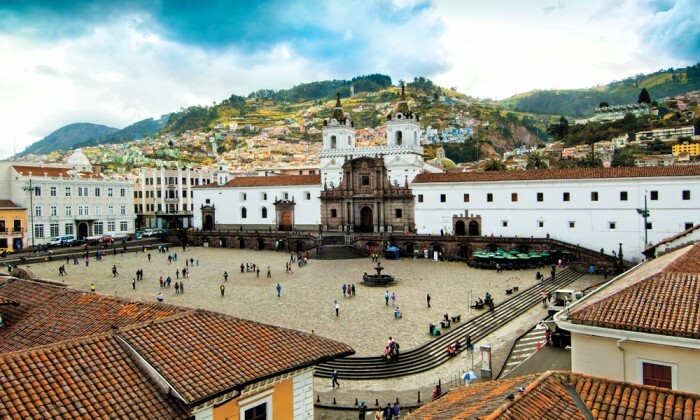 To the south of Quito is Cuenca, a longtime favorite for American retirees who love the benign climate, mountain air and small town friendliness of a historic city. Cuenca is a place to enjoy the relaxed ambience and genuinely feel the vibe of Ecuadorian life. It’s one of the safest cities in the country, another reason why it is very attractive to tourists. And getting there is convenient. Ecuador’s national airline, TAME, is the only airline to offer nonstop flights from JFK to Quito. Its domestic network also takes travelers to Guayaquil, Cuenca and Coca—the starting and end point for Anakonda cruises. Every aspect of a visit to this fascinating country can be arranged with a single phone call to Florida-based, Latin America Reservation Center. LARC has three decades of experience working with Ecuador’s top tour operators, including VIP Expeditions Ecuador, Anakonda, Tren Crucero and all the top hotels.